On Tuesday, October 18, 1966, an event took place that shook British evangelicalism—on the nature of the church and the basis of gospel unity and purity—with reverberations still being felt today. Tell us a little about Martyn Lloyd-Jones and John Stott at this stage of their ministries. Martyn Lloyd-Jones and John Stott were the two most prominent evangelical ministers in London in the 1960s. 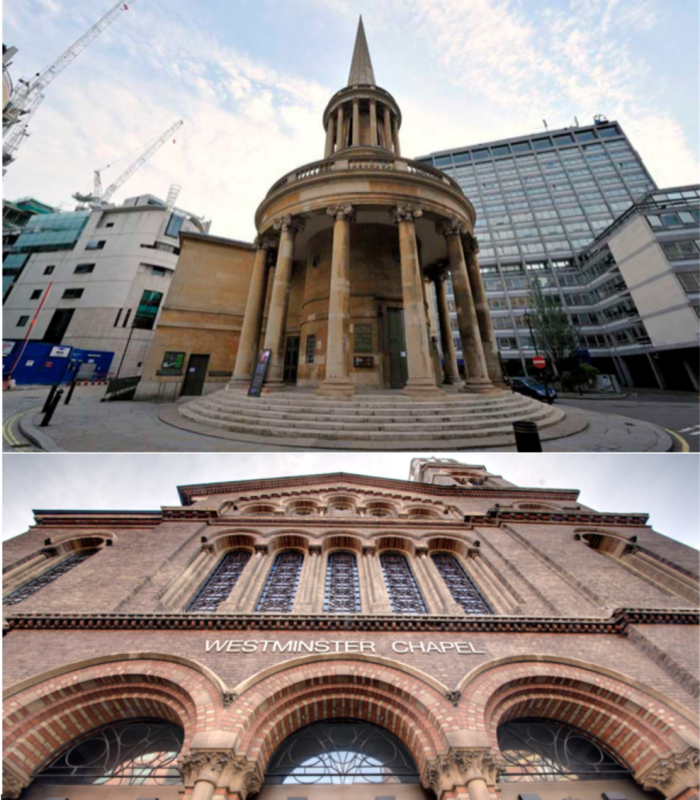 Both attracted large congregations through their expository preaching in prestigious pulpits—Lloyd-Jones at Westminster Chapel, near Buckingham Palace, and Stott at All Souls Church, near Oxford Street. Both had fruitful ministries more widely as evangelical leaders and organizers, for example, among university students through the Inter-Varsity Fellowship. In October 1966, Lloyd-Jones was 66 years old and nearing retirement; Stott was the younger man, aged 45, but was already a recognized spokesman for Anglican evangelicals. 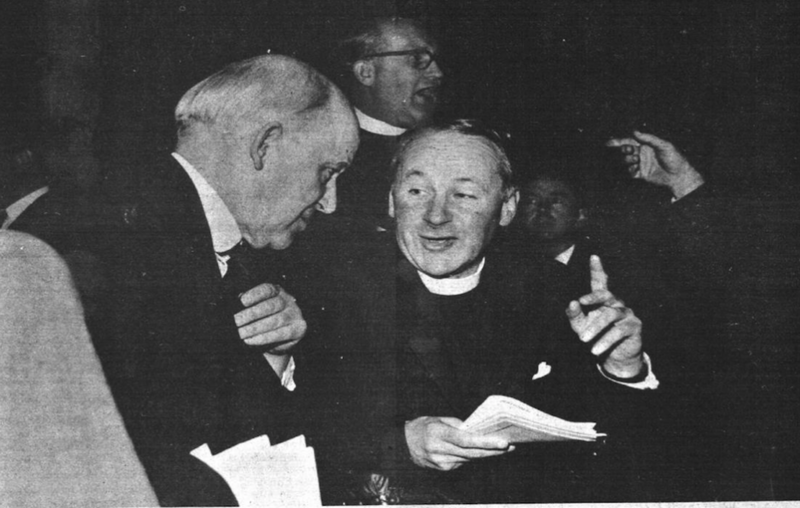 There were a number of developments in British evangelicalism in the 1960s with regard to ecumenical discussions and concerns. Can you give us a picture of the context at the time? The 1960s was the high water mark in ecumenical optimism, which had been gathering pace since the end of the Second World War. The older denominations invested considerable energy in the search for visible unity. For example, the British Council of Churches resolved in 1964 to seek one united territorial church in Britain by Easter Sunday 1980. In retrospect, 50 years later, such a naïve plan appears almost comic, but to many in the 1960s it seemed realistic. Certainly the winds of change were blowing. The Church of England was on the verge of reuniting with the Methodists, separated since the Evangelical Revival, and was also making friendly overtures to the Church of Rome, separated since the Reformation. Meanwhile, Presbyterians and Congregationalists were building a United Reformed Church. But these various unity schemes had little regard for evangelical doctrine. Let’s go to the National Assembly of Evangelicals in October 1966. What was this group, and why was Lloyd-Jones asked to address them? Didn’t they know in advance what he might say? The National Assembly of Evangelicals (NAE) was originally envisaged as an annual event, organized by the Evangelical Alliance, bringing together about 1,000 delegates from evangelical churches and societies across Britain, from the full range of Protestant denominations. The first NAE was in September 1965 and tackled questions such as evangelism, religious education, and Christian unity. It was like an evangelical synod, with debates and voting on formal resolutions. Since ecumenism was such a hot topic, the 1965 NAE set up a special evangelical commission on church unity—co-chaired by an Anglican and a Baptist—which was asked to report the following year at the 1966 NAE. 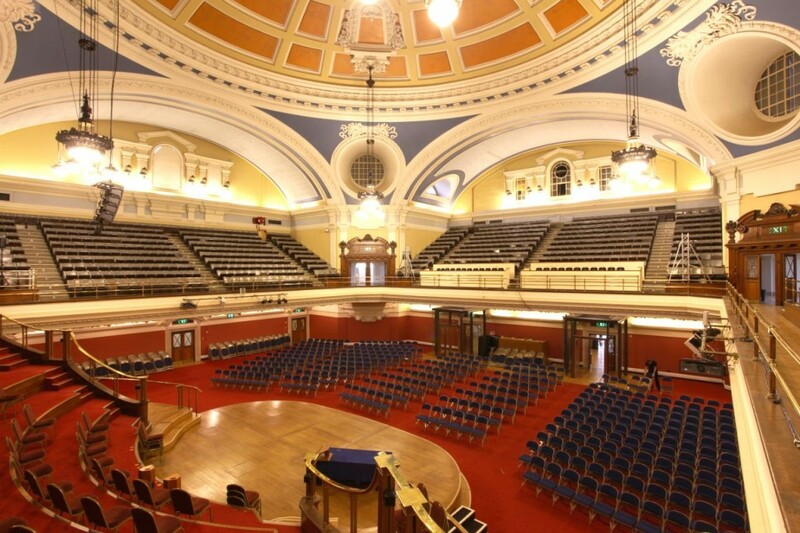 To coincide with the launch of the report, Lloyd-Jones was invited to give an address outlining his vision of evangelical unity, at a public meeting in Westminster Central Hall, chaired by Stott. The organizers should certainly have known what to expect, since Lloyd-Jones had given his views in person to the evangelical unity commission, but they were still taken by surprise by the electrifying effect of his address! So what did Lloyd-Jones say exactly, and why was it so controversial? At its heart, Lloyd-Jones’s address was a call for visible unity among evangelicals to match their spiritual unity. He lamented that they were divided among themselves and “scattered about in the various major denominations . . . weak and ineffective.” But he believed the ecumenical turmoil of the 1960s presented “a most remarkable opportunity” to rethink evangelical ecclesiology along New Testament lines. This was controversial for several reasons, not least because it contradicted the National Assembly of Evangelicals’ own report on evangelical unity at the launch event! The obvious implication was that evangelicals should secede immediately from doctrinally mixed denominations. There was also confusion about what exactly Lloyd-Jones meant by “a fellowship, or an association, of evangelical churches,” and what that would look like in practice—probably he intended a network of local independent evangelical congregations. A transcript of the audio recording of his address was eventually published after his death, in Knowing the Times (Banner of Truth, 1989), and is well-worth studying closely. Was it out of character for Stott to respond publicly? What did he say after Lloyd-Jones spoke? There is an unwritten convention that the chairman of a public lecture is simply there to help the event run smoothly and to offer polite thanks to the speaker at the end. If Lloyd-Jones’s address was startling, Stott’s intervention was more so. When he rose to announce the closing hymn, he publicly criticized Lloyd-Jones, arguing that “history” was against him because evangelicals in previous generations had tried to establish evangelical denominations and had failed, and that “Scripture” was against him because the faithful “remnant” in the Old and New Testaments was within the visible church not outside. Stott later apologized to Lloyd-Jones for abusing his position as chairman, but the damage had been done, and a public rift within the evangelical movement was opened up. Can you give us a sense of the argument by Stott and others for why Christians shouldn’t separate from unbelief and false teachers? Stott would never phrase the question in the way you have! Such a position would be impossible to defend! Stott and his Anglican evangelical colleagues, like J. I. Packer, protested vigorously against heresy in the Church of England, especially against liberal and catholic errors that were gathering pace in the 1960s. They were determined to protect their congregations from false teachers and from unbelieving bishops, and to keep their distance. Nevertheless, they did not think they were compromised simply by belonging to a doctrinally mixed denomination. (1) Historically, they argued that the constitutional basis of the Church of England was Protestant and Reformed, seen in the Reformation formularies like the Thirty-Nine Articles of Religion and the Book of Common Prayer. So evangelicals held the legal “title deeds” to the Church of England, and the liberals and catholics should get out, not them. (2) Biblically, they argued that many New Testament churches were doctrinally confused or morally compromised, like the church in Corinth that was muddled about the resurrection, or the church in Sardis that numbered only “a few” godly people (Rev. 3:4). But believers in those churches are told to hold fast to the gospel, and to fight against false teachers, not to leave the church and set up a new one. (3) Pragmatically, Stott and his friends argued that the Church of England provided many gospel opportunities for evangelicals, and that it would be a dereliction of duty to hand over their pulpits to unbelieving clergy. What then would become of their congregations? In April 1967, six months after the clash between Lloyd-Jones and Stott at the National Assembly of Evangelicals, Stott chaired the first National Evangelical Anglican Congress (NEAC) at Keele in Staffordshire. Here Anglican evangelicals agreed to invest their energies in the structures and synods of the Church of England. As a result, especially in the younger generation, they soon came to emphasize their Anglicanism more than their evangelicalism. The standard historiography suggests that few Anglicans heeded Lloyd-Jones’s call. But your research suggests otherwise, right? The standard historiography has mostly been written by the advocates of the Keele Congress agenda. It deliberately tries to emphasize that Anglican evangelicals paid no heed to Lloyd-Jones’s call, and that only a couple of maverick ministers seceded from the Church of England. My research has shown that in fact many Anglican evangelicals were alarmed by the theological trajectory of the Keele Congress, and were naturally sympathetic to the prophetic call of Lloyd-Jones for a more robust evangelical ecclesiology. At least 20 Anglican ministers seceded for various forms of evangelical independency between 1964 and 1974—admittedly only a trickle, not a flood—but they included nationally known leaders like Herbert Carson and Bertie Rainsbury. A significant number who remained in the Church of England continued to teach that evangelicalism, because it is simply New Testament Christianity, must always trump denominational allegiance of any description. How did the events of October 1966 effect the relationships within British evangelicalism? It has taken British evangelicalism a long time to recover from the polarizing debates of the late 1960s. The National Assembly of Evangelicals in October 1966 was a watershed moment, a symbolic parting of the ways. It was made worse by subsequent events, like the publication in 1970 of Growing into Union, an ecumenical tract co-authored by two Anglican evangelicals (J. I. Packer and Colin Buchanan) and two Anglo-Catholics. This led directly to a painful split between Lloyd-Jones and Packer, and the cancellation of the Puritan Studies Conference they co-organized. Relationships broke down between evangelicals on different sides of the divide, with growing suspicion and misunderstanding between Stott’s circle and Lloyd-Jones’s circle. Thankfully, the slow passage of time has brought a measure of healing to these wounds, though it has taken half a century for friendships to be rebuilt. The regional “Gospel Partnerships” that have recently been springing up across Britain are one encouraging sign that evangelicals (whether inside or outside doctrinally mixed denominations) are once again joining forces in discipleship and evangelism, where the gospel is central, even if they still disagree about ecclesiology.